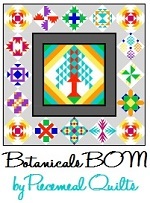 Before I post the first block pattern, I want to talk a little about basic construction. As I mentioned in the last post, I prefer pressing my seams to one side for the larger sizes, but if you’re doing the quilt with 1″ or 1 1/2″ finished squares you really should consider pressing the seams open. 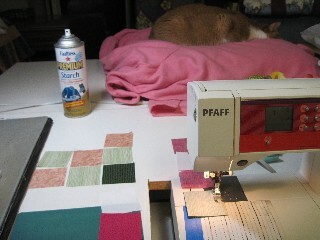 It may mean pinning a bit more, but you’ll probably be happier with the finished quilt. Over the next 25 days I’ll post a new block each day. There won’t be a lot of detailed instructions on those posts – it’s mostly just an illustration of the block because all of the blocks are assembled like a basic nine patch. I’ll go through the steps of a nine patch block at the end of this post. 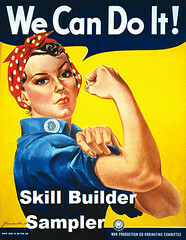 Remember, you need to make FOUR of each block! (Boy, you’d be really peeved if you got through this whole thing and then discovered you were supposed to make four and you’d only made one, wouldn’t you? I think I’ll add that reminder to each block post!) I like to chain piece my blocks, and making four identical blocks is pretty easy. If you have the space to lay out all four right next to your sewing machine, you can do this whole thing without moving from your seat. Well, if you have an iron nearby, or if you’re good at finger-pressing. When you lay out the pieces of your blocks, watch your half square triangle positioning – make sure it isn’t turned sideways, or you may have to pick it out and re-sew it like I did! 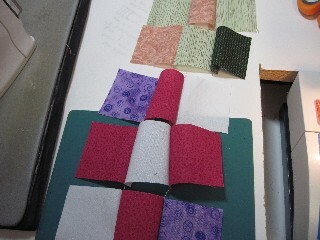 Okay, so here is how I like to make (and chain piece) nine patch blocks. 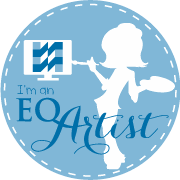 I am using just plain squares – this sample is NOT block 1! Lay out your squares to form your nine patch. 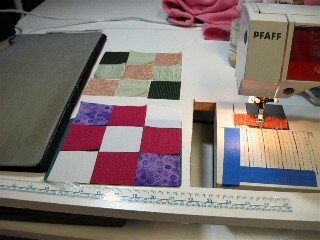 If you’re chain piecing multiple blocks, lay out two or even all four blocks. I’m showing two blocks, but when I made my blocks I did all four at one time. Starting with the first block, flip the SECOND square in the top row onto the FIRST square in the top row, and sew those two squares together. 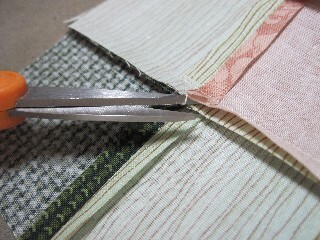 Without cutting the thread or removing the first two pieces, repeat with the middle row. A little chain of thread links the two sets. Now repeat with the bottom row. Don’t cut the thread yet! 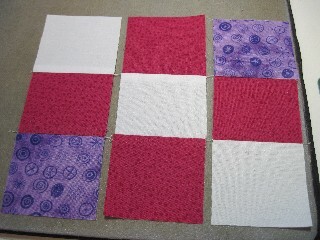 Repeat these steps with the first two squares of the next block. When you’ve finished those squares you can cut the thread linking the first block to the second block, and place the chained pieces by the remaining squares for that block. Don’t turn it upside down! 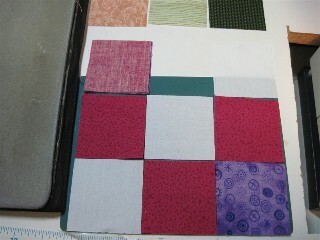 With the last set from your last block still under the presser foot, pick up the chained squares from the first block. Open the first pair of squares and place the last square for that row on the middle square. 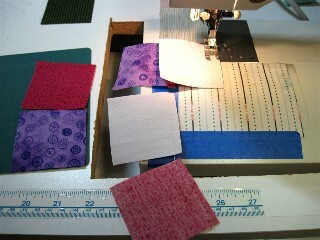 Sew a scant 1/4″ seam, then repeat with the other two squares. 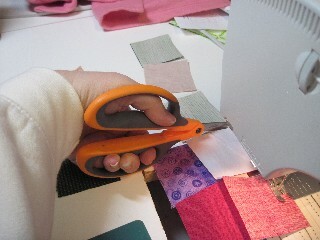 Just as you did with the first sets, start your second block before cutting off the first one. Repeat with the rest of the blocks. Press your squares. If you’re using larger squares you can press them open or to one side. 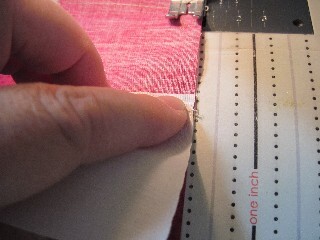 If you press to one side, alternate the direction the seams are pressed. I recommend pressing the top and bottom rows to one side and the middle row to the other side. 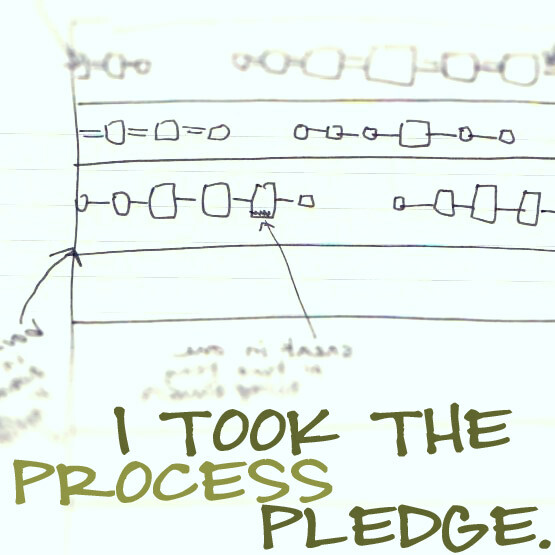 You’ll do it the same directions for blocks 1-5, 11-15, and 21 – 25. The remaining blocks will be pressed in the opposite direction. 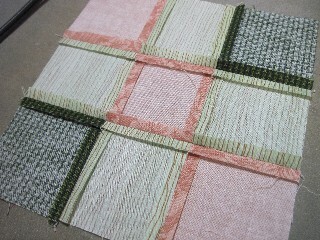 That way when the rows are sewn together, the seams will continue to nest neatly together. 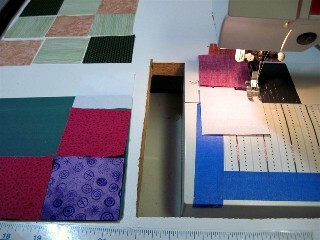 If you’re using 1″ or 1 1/2″ finished squares, press the seams open. 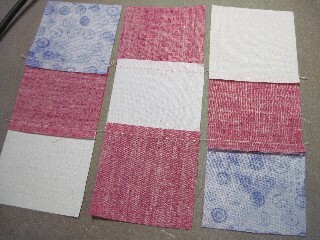 Now sew the first two rows of your first block together. 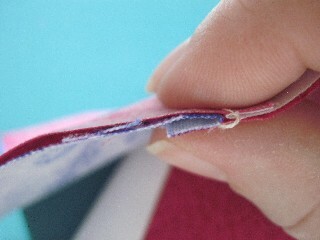 The little chains of thread hold the rows in the correct order, which is very handy. If you pressed to the side you can still pin, but you may not need to. 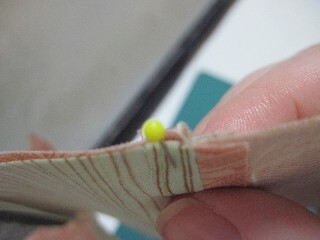 Nest the seams together, with one seam folded one direction and the other going the opposite way. See how they nudge right up against one another? If you squeeze the seam intersection between your fingers, it should feel perfectly flat. If you can feel a ridge or a depression, they aren’t nested together properly. 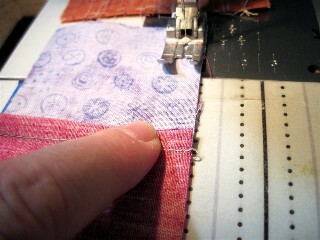 If you don’t pin, press on the seams with your finger as you sew so you can feel if it starts to separate. 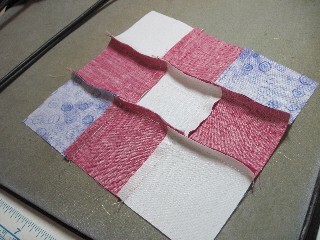 You can adjust the block as you sew by lifting the top piece and aligning the seams, then pressing on them with your finger as it feeds to the needle. If you pressed your seams open, you may want to pin before (and after, if you prefer) the seam intersection to make your seam intersections as accurate as possible. 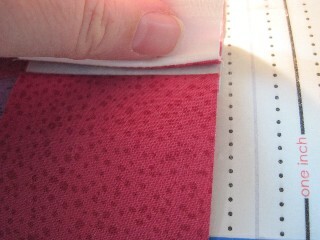 If you pin, don’t pin in the seam, pin in the seam allowance. If you push a pin into the seam, you’ll widen the space and cause a little gap in the intersection. If I pin, I usually pin just the side that will be going under the presser foot first. 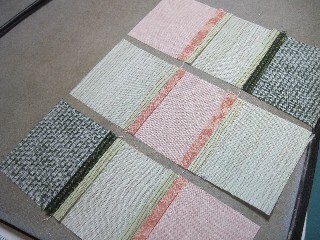 Sew those two rows together, then repeat with the remaining blocks. See how you always have a block under the presser foot? 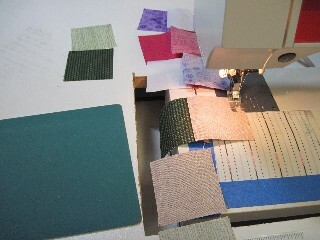 That’s chain piecing. If you’re pressing to the side, I suggest waiting to press these last two seams until you assemble the finished blocks into a quilt top. That way you can decide which direction to press so the different blocks nest together neatly. If you’re pressing your seams open, do that now. 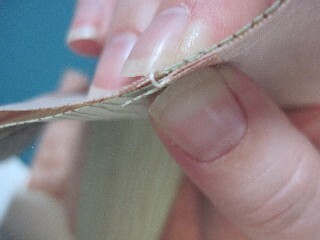 Snip the little thread chains so you can press the open seams flat. 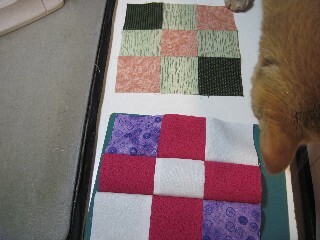 Here are the finished blocks. 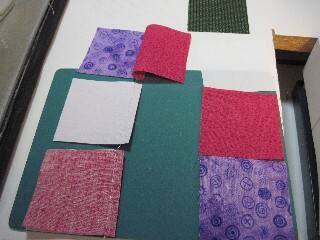 As you can see, the one with the seams pressed open are flat and pretty. The block with the seams pressed to the side looks a little funny now because it hasn’t been pressed, but you’ll appreciate that when you sew the rows together later. Now, with all of that out of the way, are you ready for the blocks? I’ll post the first block later today!